This book has been written for anyone who has heard the whispers of the wild and has been stirred to know more, for those with a political conscience and for lovers of the outdoors. 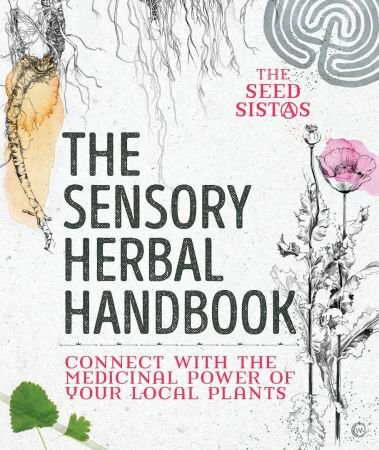 Whether you are new to the ways of herbs or already a practising herbalist, it explains how you can take your physical and mental health into your own hands using the plants that grow around you. Sensory Herbalism is a unique system of health devised by the Seed Sistas over 20 years of practice. It combines traditional herbal knowledge with an understanding of how the elements (water, fire, air, earth and spirit) and the ever-changing seasons interact with the human body. Their approach blends science, medicine, creativity, ritual, magic and fun into practical, easy-to-use tools that guide readers in developing their own relationship with plants. Illustrated with 140 artworks, photographs and diagrams, the book offers a revolutionary understanding of how to get to know and use your local medicinal plants. Understand plants better than ever before using the five tools of Sensory Herbalism: observation through the senses, intuition, interpretation, characterization and the poetic creation of plant dreams. Embark on a guided journey through the year, deepening your knowledge of each season’s featured plants and enhancing your wellbeing with herbal medicines, nutritious recipes and healing rituals.